Collaborator: Jose Iriarte, Dept. Archaeology, Univ. Exeter. The Parana pine (Araucaria angustifolia) of southern Brazil is an iconic ‘living fossil’, dating back to the Mesozoic, when it was likely grazed upon by Sauropod dinosaurs. This evergreen conifer once dominated highland areas of Brazil’s southern Atlantic Forest (a global biodiversity hotspot) until the colonial period, but is now critically endangered and is a key conservation priority. To gain a robust understanding of the likely response of Parana pine to future climate change, a better understanding of the underlying reasons for its current biogeographic distribution is first needed, which can only be gained via knowledge of the long-term dynamics of this species over the past several millennia, in relation to both past climate change and pre-Columbian (pre-1492) human land use. 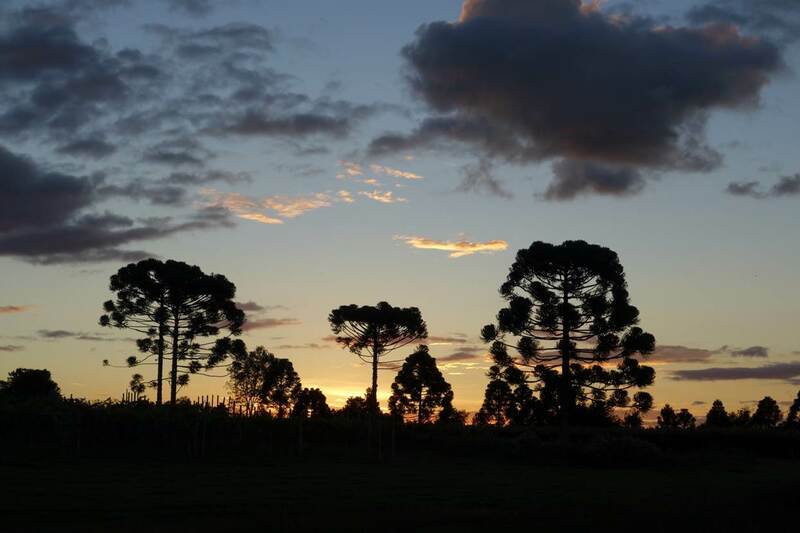 The overall aim is to determine the relationship between Araucaria forest, climate change, and human land use over the past ~ 6,000 years in southern Brazil, and thereby improve understanding of the likely response of this species to future climate change and the implications for conservation policy. This PhD project complements an ongoing AHRC(UK)-FAPESP(Brazil)-funded project which provides the archaeological context. The student will use a novel, multi-disciplinary approach, which combines palaeoecological and archaeological data with ecological and climate models. Fossil pollen will be analysed from bog sediments and fed into land-cover models (REVEALS, LOVE) to reconstruct the history of Araucaria forest over the last ~ 6,000 years. These data will be integrated with ongoing archaeological studies and previously published palaeoclimate records to determine the respective roles of people versus climate change in driving late Holocene Araucaria expansion. Climate models and ecological niche models (e.g. MAXENT) will be tested against these palaeo data and used to map the environmental niche of Araucaria through time, in response to past and future climate change. Training will be given in field- (bog coring) and laboratory-based (pollen microscopy) palaeoecological skills (Mayle & Cárdenas), climate (Singarayer) and ecological (Walters) modelling, and integration with archaeological data (Iriarte). Sediment cores have already been collected, but there will be scope to visit the field area and collect further material if necessary and any relevant ecological data. Applicants should hold a minimum of a UK honours degree at 2.1 level, or equivalent, in a relevant subject such as biology, geography or environmental science. A strong background in numerical/statistical techniques is essential and knowledge of ecology, microscopy and coding/modelling would be advantageous. The deadline for applications is 25th January 2016, although later applications may be considered. For further details about the project, please contact the lead supervisor, Francis Mayle.